I wonder if Wakanda still holds the #1 sales position of Axtone. At least it was until 2014.
julitoco wrote: I wonder if Wakanda still holds the #1 sales position of Axtone. At least it was until 2014. Paradigm might be really close. Paradigm? really? why do u say that? 'In the words of Hard Rock Sofa & Swanky Tunes – “Here We Go” – Your first GUEST recap for Axtone Ten! There are many lalaloopsies with nursery rhymes about the history for my track ((Manitou - In Africa, Derb - In Africa, Dimitri Vegas & Like Mike in Africa, Martin Vorwerk/Garrix in Africa… but your MAIN man here really knows what went on. Luckily I slaughtered the manikou (TORE him APART like Adrian Lux by wrapping my ARMS AROUND HIM!!) I recorded this manikou’s voice with a boombox & keep it for inspiration. One night though, guys, my lady friend Nanchang Nancy & my wifey TriniFam saw THREE brothers steal this boombox from my teepee. It took my six months to reboot Jugwan’s laptop, but eventually Google showed me these bros’ names: Dimitri Vegas, Like Mike, & one man who look like a GHOST [PRODUCER] (Martin Vorwerk}. They busted up my track for the first Axtone release in 2013! Oh father…. Thank you to Jens Gronberg for at least putting my beautiful face on the Axtone cover. My Axtone debut! Notice you all heard it first Live on Swedish House Mafia’s ‘ONE LAST TOUR’. God bless Vinelli for this thread. WAGWAN! Luckily I slaughtered the manikou (TORE him APART like Adrian Lux by wrapping my ARMS AROUND HIM!!) - hahahaha that's a good one!! The beginning of 2013 is quite hard-hitting, to say the least. Starting with the most brutal track Axtone has ever released, 'Wakanda', and then following with this behemoth. After a handful of appearances, 'Rasputin kinda confirmed Hard Rock Sofa as part of the Axtone label for me. I think it was around this time that they were named on the website as official artist signings, alongside NO_ID and Axwell himself. I've got to admit that me too had to get used to these more aggressive sounds, but looking back I don't think we could have gotten a better name to fill this particular slot for Axtone than the Russians. Apart from delivering that punch Axwell was looking for to cater to the general vibe of that time, they delivered that 'punch' in a highly creative and polished fashion. 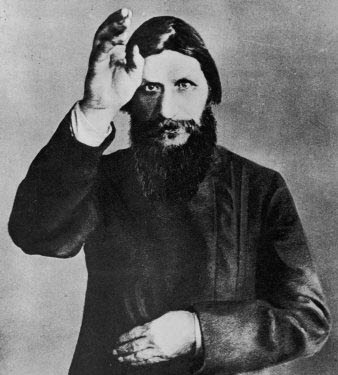 Rasputin is another example of just that I think. It did something different and did it extraordinary well. 'When Prince Felix Yusupov invited Rasputin to his home on Dec. 29, 1916, it wasn't for pleasantries. Married to the niece of Czar Nicholas, Yusupov plotted with a group of nobles to murder Rasputin in an effort to save Russia from imminent collapse.